Once more I'm reminded how great it would be to own something from Elvis' wardrobe. Not only the envelope containing a swatch of Elvis wardrobe, included on the 4 LP set Elvis: The Other Sides - Worldwide Gold Award Hits, Vol. 2, but a real article of clothing. 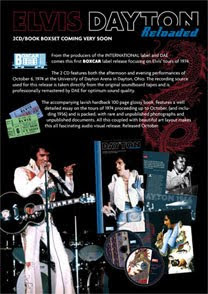 On ElvisNews.com I read that there's an upcoming "Music Icons" auction featuring Elvis items, held at the Hard Rock Cafe in New York on November 21 and hosted by Julien's Auctions. 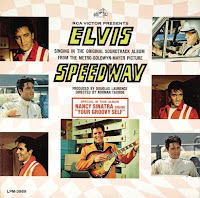 Among 19 Elvis related items there is the red-white striped jacket from the movie Speedway. 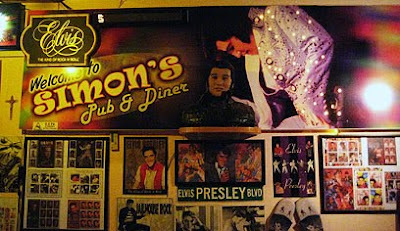 I've always thought Elvis looked really cool in that jacket, especially when he's performing "Let Yourself Go" at the racing-oriented discotheque called the Hangout. Come to think of it, I guess that's one of the few good things I have to say about that particularly movie. Still, imagine watching it, and being able to say to some friends you want to impress, "See that read jacket he's wearing with the white stripes? It's hanging in my closet. Wanna take a look?" It's not an impossible dream, but you need money to make it come true. A lot of money. The estimated price for the Speedway jacket is between $6000.00 and $8000.00. But there is a more inexpensive way. You can always buy an Elvis Speedway replica jacket. This jacket is available for "only" $350.00 and comes in both red and blue. A safe bet is it wont impress your friends as much, though. One of my favorite parts in the movie This Is Elvis is the one having Elvis practicing karate to the sound of "Kung Fu Fighting." That's why I was looking forward to the release of Elvis Presley Gladiators, a DVD that brings together footage from Elvis' never completed martial arts New Gladiators film project. "Never before seen raw footage of Elvis' passion for karate!" it says on the cover, and raw footage is what you get. There are no titles, the film starts with Red West putting his fist in Elvis' throat and Elvis then pushing Red West and fellow "gladiator" Al Hokum backwards. 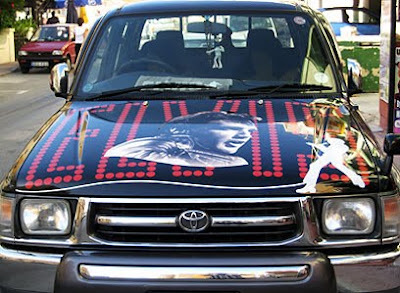 Elvis himself is not at his best, he's somewhat overweight and sweating a lot more than all the other "gladiators." But seing his happy face in scenes such as the one mentioned above, there is no mistaking his passion for karate and his enthusiasm for the project. 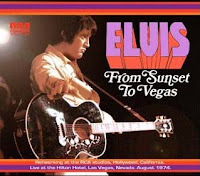 The footage that follows isn't just about Elvis showing his moves. We also get to see other karate experts demonstrating different techniques, such as Dave Hebler (also one of Elvis' bodyguards), Bill Wallace and Khan Rhee. Often Elvis is talking in the background, like "There's a good move, right there." Unfortunately the sound isn't very good. That doesn't matter much, though. Neither does the raw footage deal. This is in part thanks to Wayne Carman, another martial arts expert that trained Red West and was present when the film was shot. 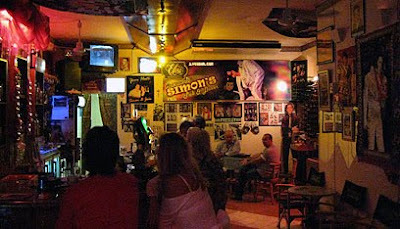 With insightsful comments he explains what's going on and and at the same time also share some of his memories. It's almost like he is sitting beside you, and it lends an intimate feel to the whole experience. 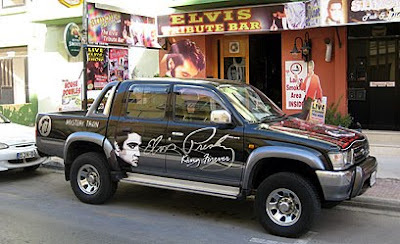 But of course it's the scenes with Elvis that are the most interesting. I especially enjoyed the one where he shows how to do when a guy (Red West) pulls a gun at you at ten feets away - he slowly gets on his knees and starts praying. Smiling, he exclaims, "The old master says, no way to stop bullet!" 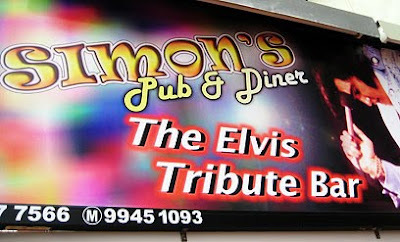 Elvis famous sense of humour at work! I also loved the footage of Elvis arriving at the Tennessee Karate Institute, where most of the scenes were shot, on September 16, 1974. I noticed Elvis wearing his white boots in the training hall, and luckily for me Wayne Carman brought the subject up: "A lot of people say, why was Elvis wearing his boots in there? 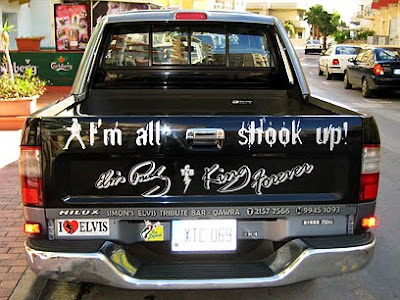 Because he was Elvis!" 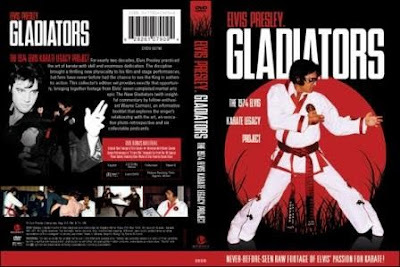 If you want to understand more of Elvis passion for karate, Elvis Presley Gladiators is for you. Included on the DVD is also the footage without narration, "It Hurts Me" karate footage from the 1968 TV Special, an interview with Wayne Carmen (audio only) and a photo gallery. 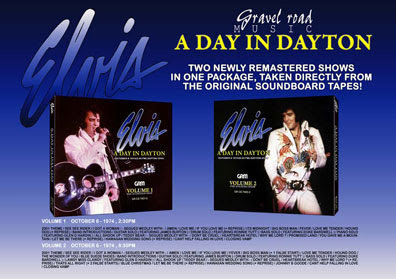 There's also six postcards of Elvis in his karate suit inside the DVD box, together with a pretty informative booklet. 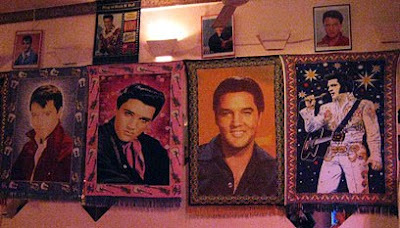 The only thing missing is Elvis own T.C.B. karate patch. I guess one can argue that the footage could have been edited differently, maybe even in a way to resemble Elvis original intentions with his karate legacy project. 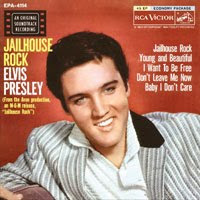 I'm just happy it was released at all, adding another piece to the puzzle that makes up Elvis Presley.